Raise your right hand if you’re guilty of sleeping with your makeup on. Yes, I’m looking at you. Don’t lie to me. Remember that one time you were out with that one guy and you didn’t get home until that one hour and you were so utterly exhausted that you collapsed into bed without a thought of cleansing that mug of yours? Or maybe it crossed your mind, but you couldn’t bring yourself to wipe off something that those outrageously sweet lips had just kissed? See? You’re totally guilty. But don’t worry, I’m guilty too. And for me, that one guy is my husband. Thankfully, our hours of sleep have grown since the days of late night pre-marriage dating, so my excuses for lacking in the facial washing department have dwindled. I think mostly I’m just lazy now. 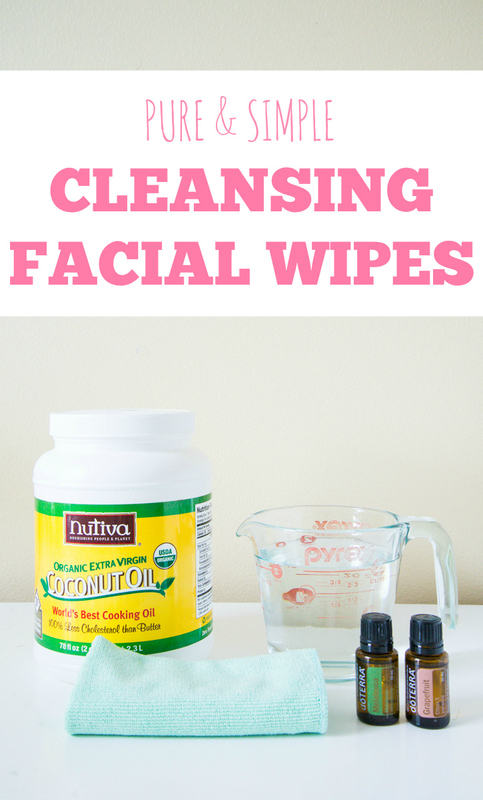 I’ve always loved the idea and ease of facial cleansing wipes, but the cost has been a major damper. $8 for a months worth of wipes? Ain’t no room for that in this grocery budget. Enter my recent discovery of a fabulous homemade version. 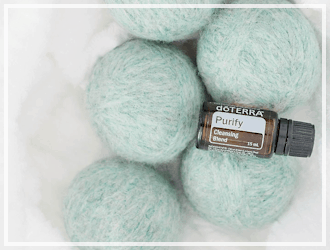 This cleansing recipe is soothing and invigorating and gentle and cleansing all at the same time. I’m seriously in love. *Note: It is important to use distilled water to prevent bacteria growth. I did not use any optional add-ins because I didn’t have them at the time, so they are not included in my cost breakdown. Cut up an old clean t shirt or towel into small squares. I cut mine to be a bout 2”x 2”. Set aside. Pour the melted or fractionated coconut oil in a large bowl. Add essential oils and vitamin e/aloe if using, and stir to combine. Add distilled water and mix again. Lay your cut squares in the bowl to soak up the solution and then transfer to a jar of choice to store. Pour any remaining solution over towels. Store at room temperature or in the refrigerator if you’d like a nice and cool little experience removing your makeup. Use like any other regular facial cleansing wipes. 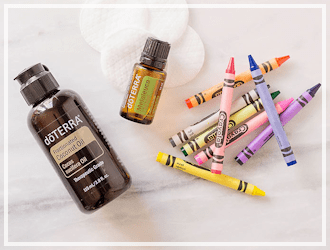 I really love the choice of essential oils in this recipe. The grapefruit oil fights acne and helps infuse aging skin with all sorts of anti-aging goodness, and the tea tree oil cleanses and soothes. 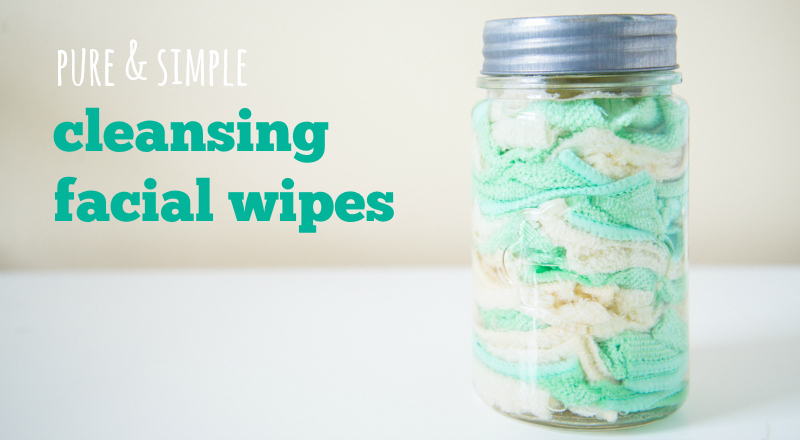 It’s super easy to throw the used wipes in a pillow case or other washable bag and wash like you would any other normal towels. That way, they’re easy to keep track of in the washer/dryer. My local Target sells Neutrogena Cleansing Pink Grapefruit Facial Wipes for $6.99, so that’s an 82% savings!!! Homemade for the win again! 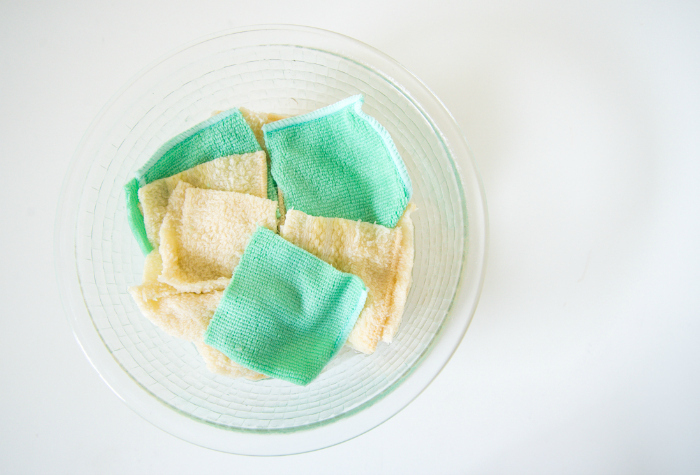 DIY your own cleansing facial wipes! *Distilled water is essential here to avoid bacteria growth. 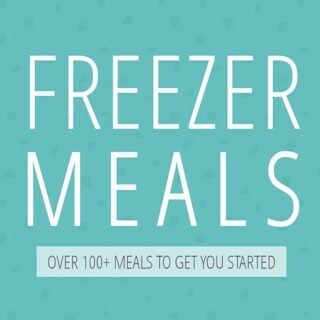 My recipe added witch hazel. My witch hazel has alcohol in it. Which should help keep the mixture stable for longer. 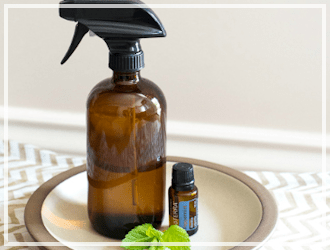 I also used unscented liquid Castille soap, distilled water, fractionated coconut oil, and essential oils, 10 drops melaleuca, 10 drops francinsence. I just cut some sleeves off of some tshirts and was trying to think of how to repurpose them. I also need to work on my evening routine of removing my makeup, so thank you for both! I can’t wait to set this up and add it to my routine! Thank you! The tea tree oil is in fact antibacterial but in order to use it to inhibit bacterial growth you would have to use extremely high concentrations which would be very harmful to the skin. Please do your research, ladies. This is similar to the recipe that I use. Instead of towels, t-shirts or rags I use cotton circles. I do use my face wipes 2x daily and LOVE them!! 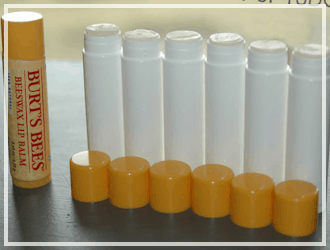 on my next batch I am going to lessen the amount of water to make it more concentrated and put it in a pump bottle instead of soaking the solution in with the cotton circles. I love the idea of the cotton circles! I was wondering if there is a way to keep the coconut oil in liquid form without having to heat it each time I want to use it. I live in Upstate New York and winters are pretty cold and so far this summer it hasn’t been very warm. At least not warm enough to keep the coconut from becoming solid. My house doesn’t get to be 76 degrees inside anytime of the year. I LOVE the cleanser and my daughter’s and my faces haven’t been this acne clear in a long time. Right now I have the cleanser in a water bottle (plastic) that I dab with a cotton ball to use. 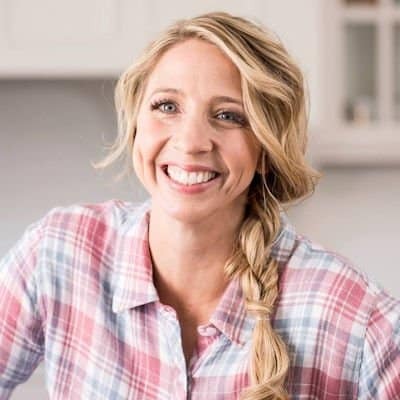 I don’t want to add anything that will take away from the great recipe. If there’s something that I can add that will keep the coconut oil liquid and add to the cleansing power, I’d try it. I’m new to the use of essential oils. 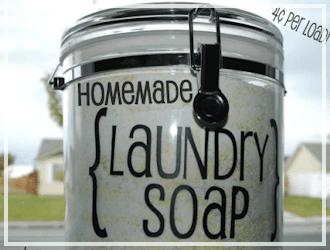 As a matter of fact the first time I ever used essential oils was when I made your recipe for the powered laundry detergent (which I love also). This is awesome! I’m definitely going to be making these tonight. My question is… Instead of using old t shirts, or towels (which I can’t use on my face)… Would this work with those square cotton pads (or the circular ones) that you can get at the store for $1-$2 for 200 of them? I haven’t tried using those before in this recipe. My only concern is I wonder if they would dissolve after a couple days. If you try it out let me know what you think. 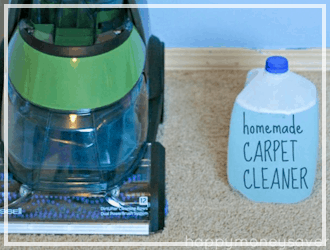 Using those circular cotton pads is a great idea if you make the solution and keep it separate! I’m traveling in 18 days and was just wondering how I could make this work without having to worry about laundering the washcloths. Thanks! I gave up using soap on my face 8 years ago. I switched to olive oil. It melts away my make up without any scrubbing at all. 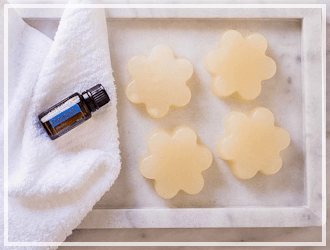 I place a warm wash cloth over my face first to open the pores, then massage the oil all over, including my eye lids and lips. Then gently wipe with a re-warmed wash cloth. No scrubbing. Once a week I exfoliate with a mix of olive oil and brown sugar. My skin feels soft, clean and refreshed every day, and never feels dry. I’m considering switching to coconut oil now after reading about its benefits plus since I travel a lot, it would make it a much better traveling companion. Mary, you are doing the same routine I do! My skin feels so much softer since giving up soap, and the oil and sugar scrubs are not only soothing but delicious on the lips lol (I use sesame oil and sugar). First of all, 9-10 people don’t have real olive oil. It’s the biggest rip off today. Made mostly of canola oil. Unless you are paying a lot of money and get it from California you aren’t using olive oil. Even the imported stuff is the most counterfeited kind. This is awesome! Thanks so much for sharing. 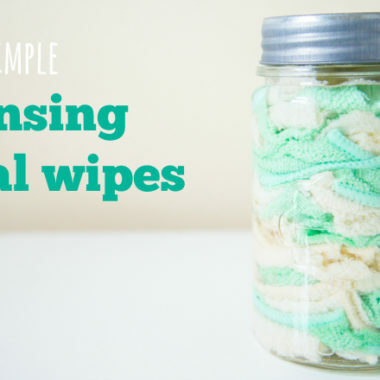 I love using cleansing wipes but I don’t love how wasteful they are, this looks like the perfect solution! I’ll give it a go soon 🙂 Thanks! I have been using coconut and other oils to cleanse my face; however, I’m having an issue with laundering the washcloths I use for this. Any tips? I’ve tried soaking them in hot bleach water with dish soap and baking soda, but the oils are still embedded and they have the smell of the oils as well. Any tips would be greatly appreciated! I bought small infant wash cloths at my local dollar store. 3 pack for $1.00. So for 2 or 3 dollars you’ll have a a weeks worth of small size towels to use, no fraying, no surging needed. Definately worth the investment. Huge fan. Used them a week and loved how my skin felt. One problem… the rags are starting to sour. I followed the measurements exactly. I keep mine in a jar with a lid. Thoughts? Yes put the cleanser in a pump bottle or squeeze bottle and keep your little cloths dry until ready to cleanse face. which will work better if you travel as well. i have read where people still buy their normal cleanser for traveling. I f you keep cleanser separate from cloths and use a spill/leak proof container……bing bang boom Bobs your uncle and head off to Tahiti!!! Just made them today love them. I used the baby wash cloths from dollar tree there the perfect size. The two cups of water is a bit much for my jar so next time I may adjust or add more cloths. I did add lemongrass to it but just two drops. It helps prevent break outs and help them clear up faster. I put a drop in my face wash if I start breaking out really bad. These got all my makeup off which my remover won’t. I use a avon mascara that’s main thing is it won’t come off easy and it doesn’t.